Hot flushes are the most common complaint for women going through menopause. Here are some of the reasons why! It seems that hot flushes are the bane of many women’s lives during menopause – and certainly generate the most interest when women get together! Hot flushes come on without any warning and can range from being mildly uncomfortable to downright unbearable, and they have quite an effect on those around them too. Symptoms can range from just a slight redness of the face to a full body sweat that leaves you wringing wet and generating enough heat to boil water, and for some women it is hot and cold sweats at night that can seriously disturb your sleep. 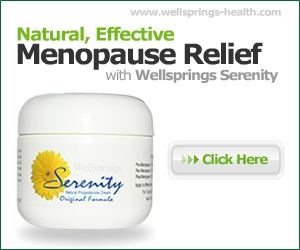 It’s estimated that around 30% of menopausal women will get some form of hot flushes. How affected you are will depend on several factors: your age, any hysterectomy or synthetic hormone use from Pill or HRT and of course our old favourite – the effects of oestrogen dominance on our hormones. Hot flushes are very much more common in the Western world. There is no word in Japanese for instance to cover this phenomenon because they do not seem to suffer from it – unless they have switched to a predominantly Western diet. If you’re unlucky enough to suffer from hot flushes this article will help you learn why they occur. If you’re not yet a sufferer, then it will help you gauge whether or not you are likely to become one. Hot flushes occur when the blood vessels below the skin dilate. This causes more blood to rush to the skin’s surface, and that is what makes you look red and flushed, and feel that tell-tale rise in temperature. The body’s normal response to this is to try and cool you down, and it does this by making you sweat. What is unique about hot flushes is that this mechanism kicks in when the outside temperature can be very low and you do not have any signs of fever. Well you know all about this during menopause, and in fact the changing levels of your hormones are the prime cause of hot flushes. When your hormone levels fluctuate they cause the temperature control mechanism in the body to be disturbed. The centre which controls this is in a part of the brain called the hypothalamus. It seems that it’s changing levels of oestrogen and FSH (follicular stimulating hormone) that can upset this delicate balance. Women having hot flushes usually have decreased oestrogen levels and increased FSH levels, but it is important to remember that it is the changes and fluctuations in the hormone levels – rather than the actual amount of hormone being produced – that produces hot flashes. For the majority of women progesterone will help control their flushes, but if they are severe then a balanced bioidentical cream combining both progesterone and oestrogen will be more effective. It’s to be expected that menopause symptoms come naturally when a woman’s childbearing years are coming to a close and the menopause or perimenopause is under way. However, women who have a hysterectomy or their ovaries removed at an age when they would not normally be going through menopause are more likely to experience more severe and frequent hot flashes after the surgery than in a natural menopause transition. This is usually referred to as a surgical menopause and the sudden drop in hormones can bring on severe symptoms in many cases. Even if the ovaries are retained it’s no guarantee that an early menopause will not occur, as their effectiveness at producing progesterone will be affected and will diminish over time. After a hysterectomy a combined bioidentical cream will replace the lost hormones as it is a natural form of HRT and not a synthetic one. We are all subject to stress in our everyday lives and mostly we cope, but sometimes it is too much for us and there is no question that it affects our hormones. Progesterone in particular is depleted by stress and it is ironic, but not helpful, that being anxious about having a hot flush or sweat in public is stressful and more likely to bring one on. Try and identify what your main stressors are and do whatever you can to reduce or eliminate them where possible. Doing everything you can to reduce your stress will help and learning relaxation techniques, or finding a regular outlet such as meditation, tai chi, yoga and a massage can all make a difference. Adding phytoestrogens to your diet, in moderation, can be helpful, as can using Rescue Remedy, a herbal supplement made from flower essences. Just a few drops on the tongue has helped many women stay calm by carrying it in their bags or into a small bottle of water and sipping from it through the day. So will staying in contact with friends and talking it out, as bottling up stress will only make it worse. These are some of the reasons behind hot flushes. I hope this article has helped explain why you may be feeling hot and bothered. After all, knowledge is power, and some women do like to refer to their hot flushes as power surges!Start with your hormones and check their balance. Some women need just bioidentical progesterone and others with more severe symptoms may need both hormones to get symptoms under control.